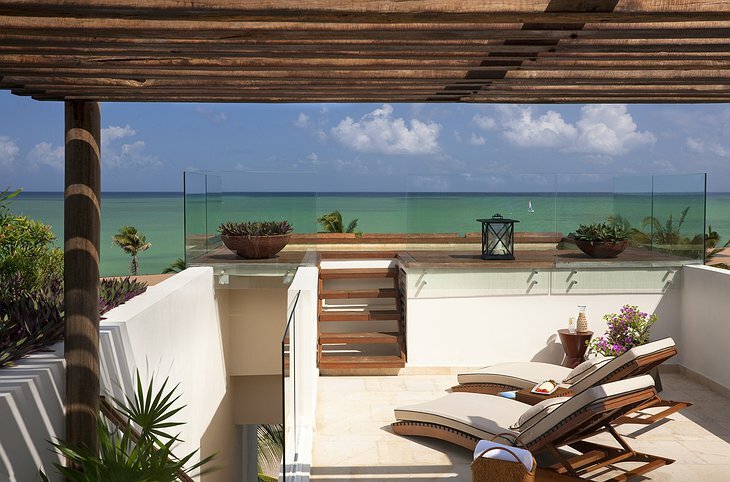 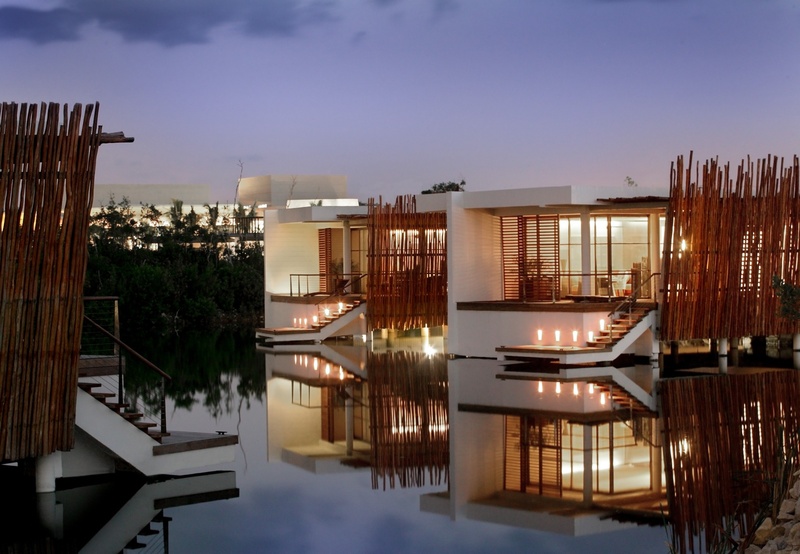 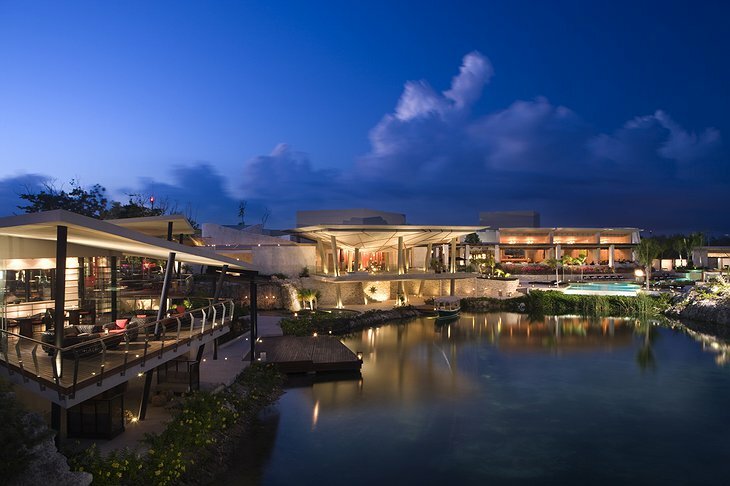 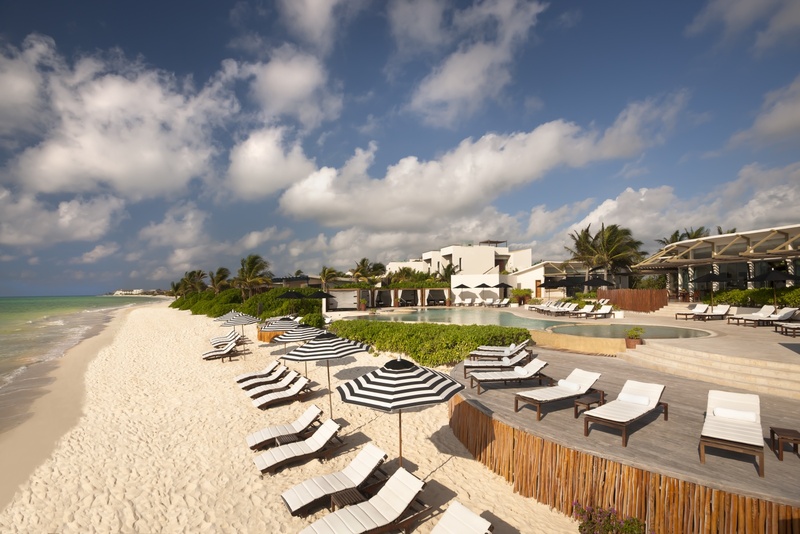 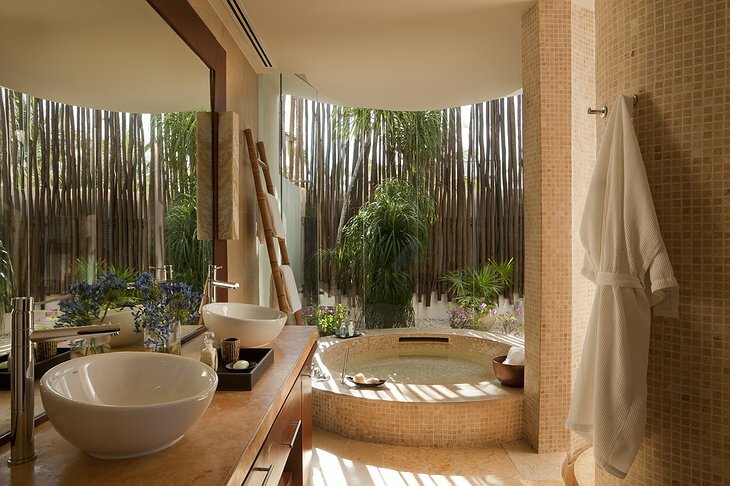 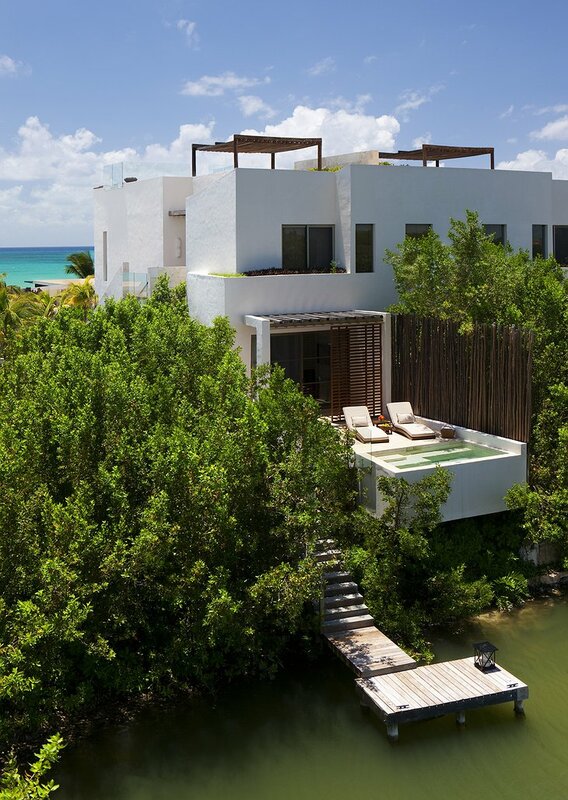 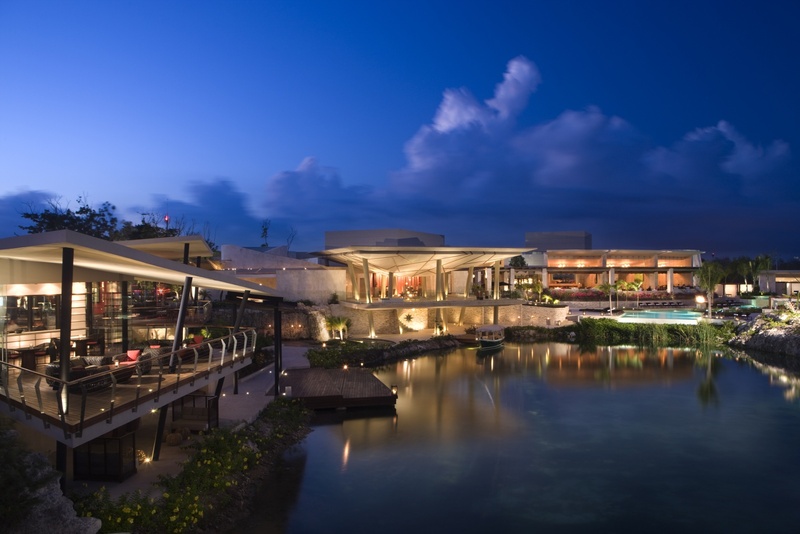 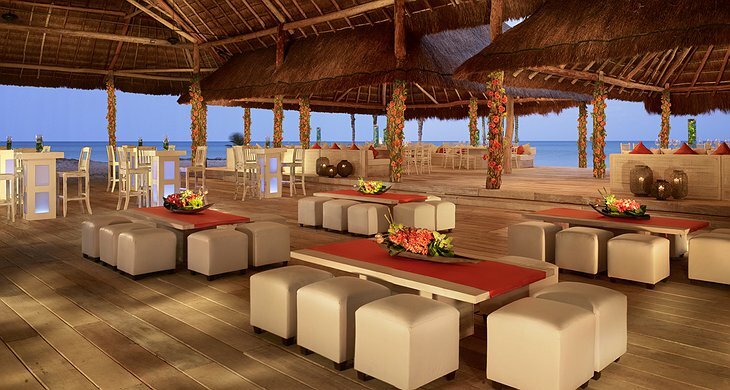 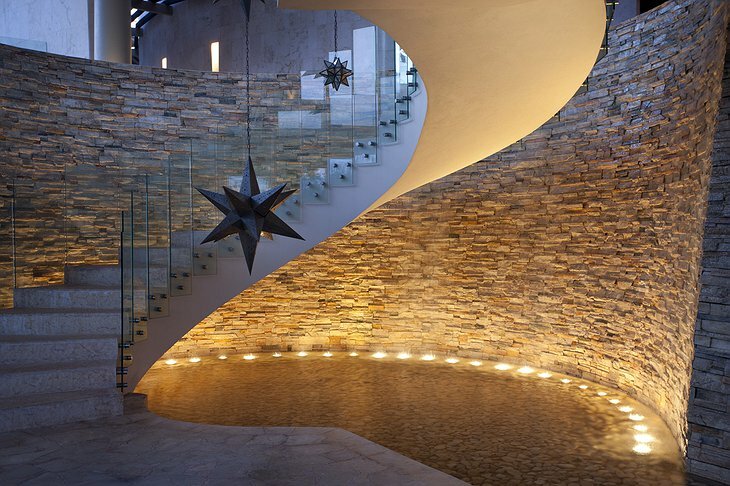 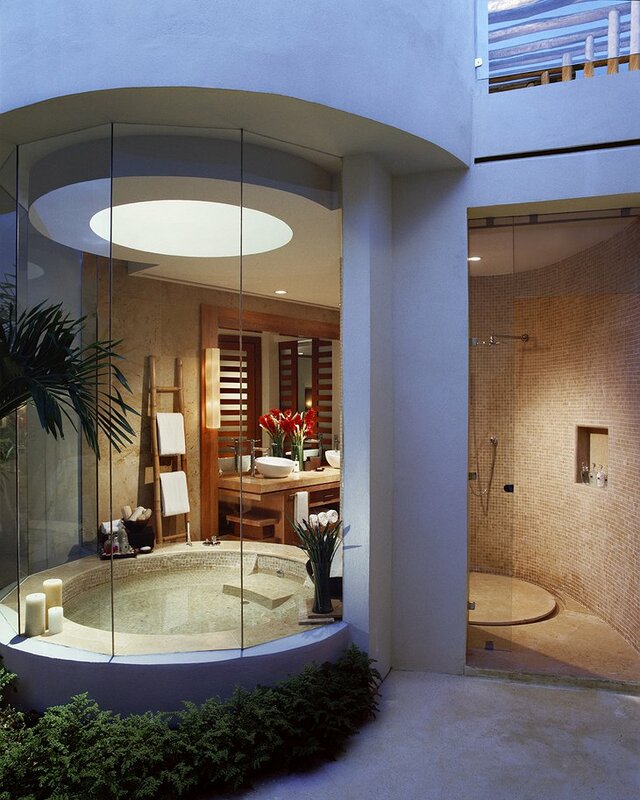 This resort was opened in 2008 and is located along a tusk of white sand on Mexico’s Riviera Maya. 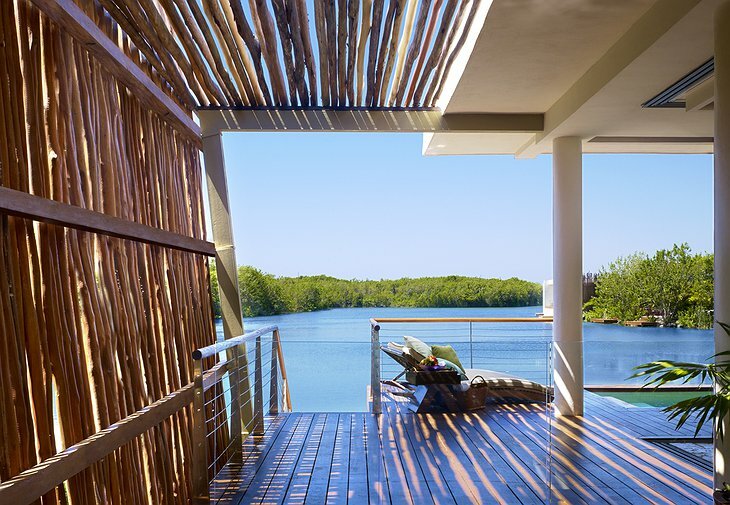 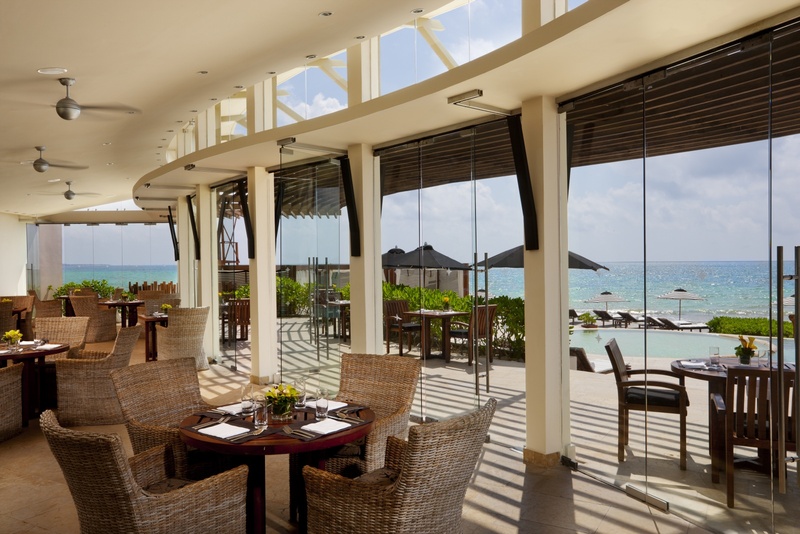 Its eco-design blends with the environment but still offers luxurious suites, pools and sundecks. The resort has so married the needs of the environment with that of its guests it has been certified by the Rainforest Alliance. 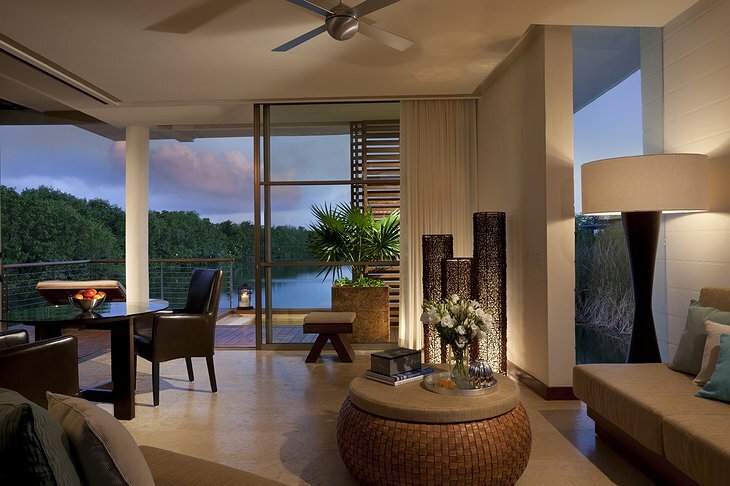 Every one of the rooms fronts water and some have private docks while others have plunge pools and outdoor showers. 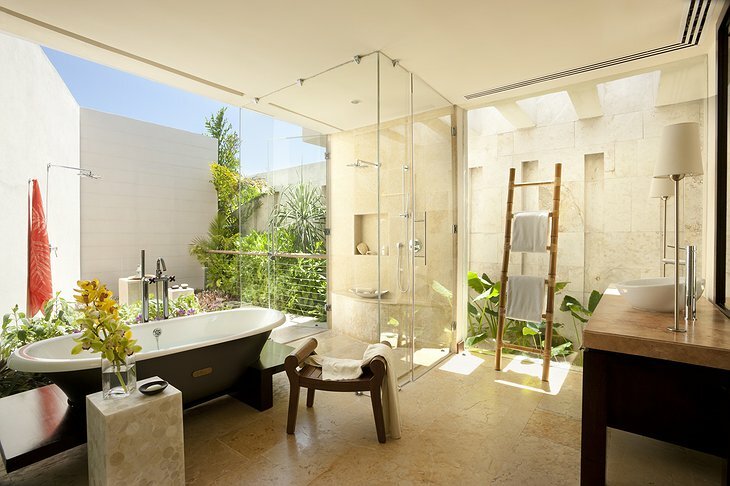 Choose a beachfront room and your door opens onto the sand and you needn’t worry about sand in the room because there are handheld showers to rinse your feet upon returning. 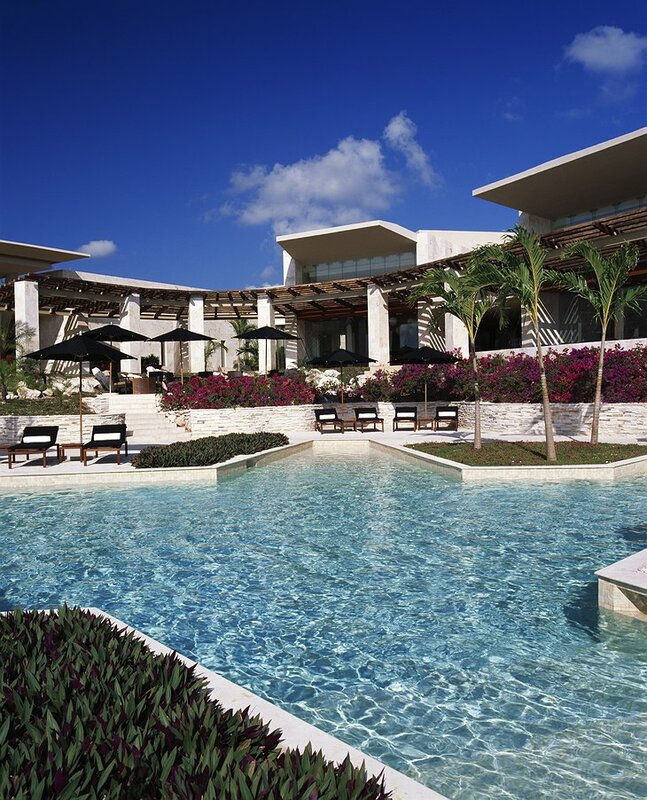 The golf course is the Greg Norman designed El Camaleon and hosts the OHL Mayakoba Classic, the only PGA Tour event held outside the US and Canada. 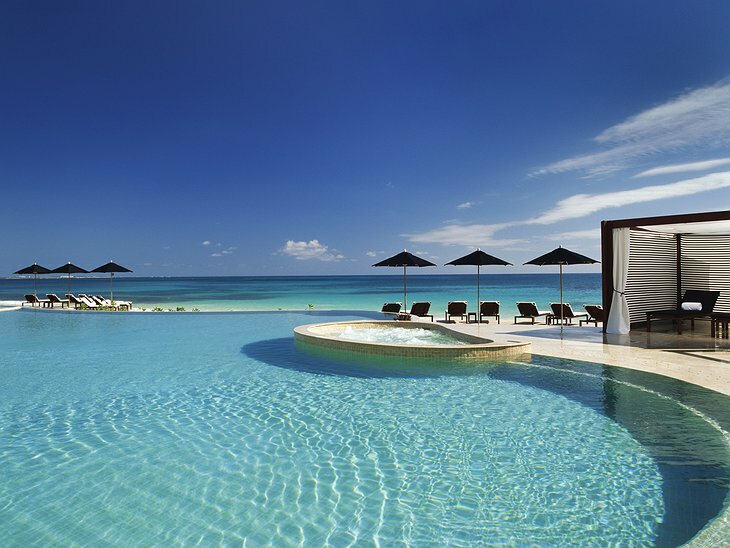 For kicks, you can visit Mayan ruins, pyramids, lost cities and snorkel around the world’s second largest coral reef. 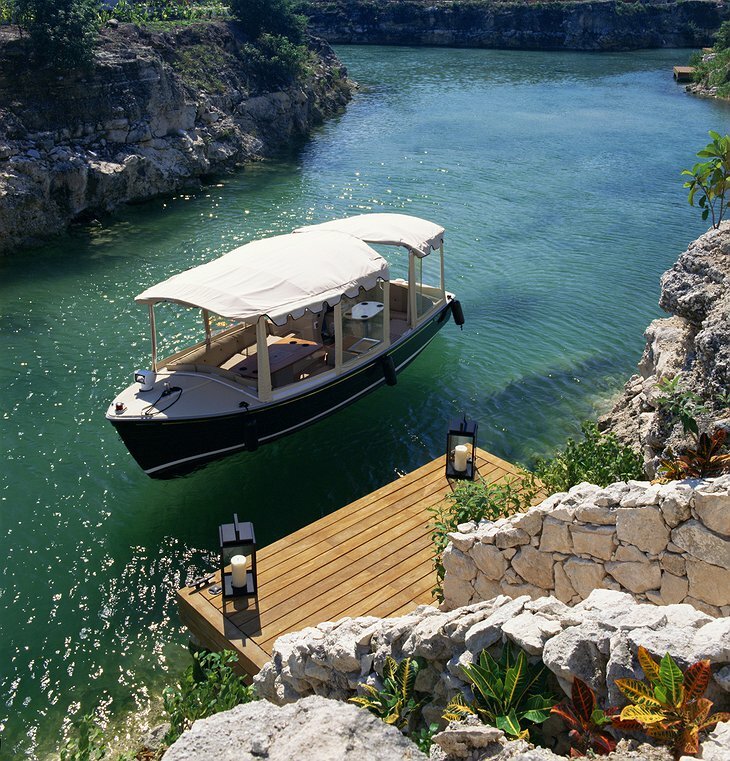 There are jungle treks, zip lines and unique eco theme parks. 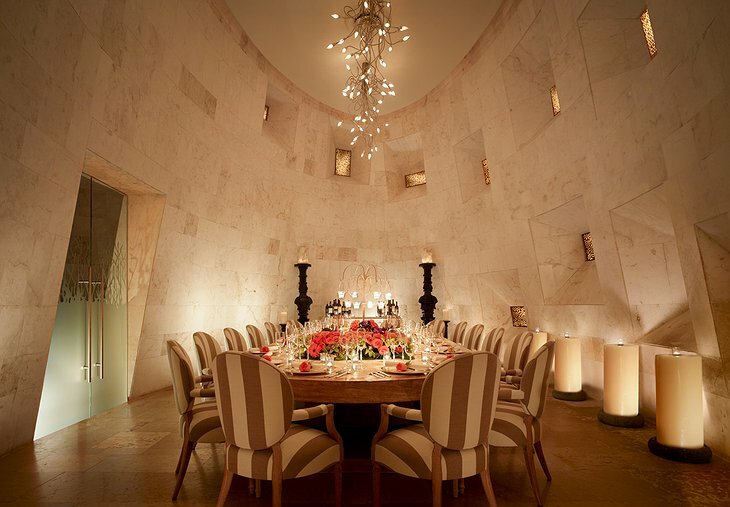 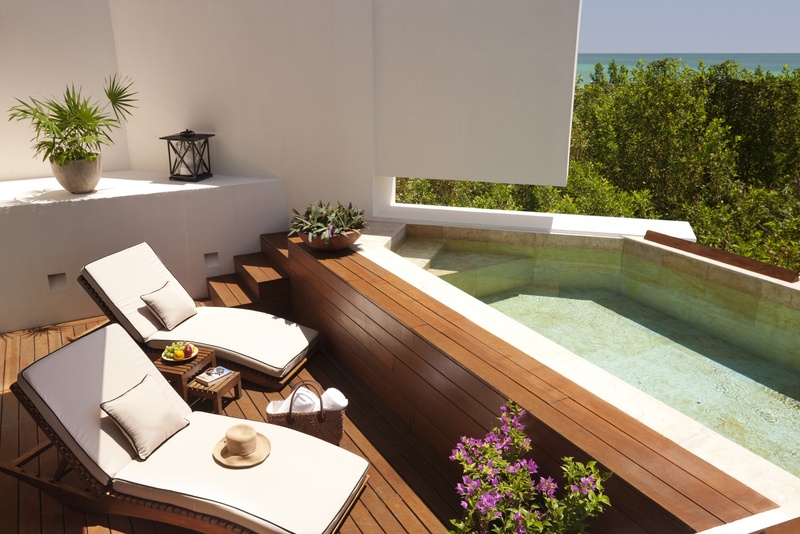 Rosewood Mayakoba Resort Video from Perlow Productions, LLC on Vimeo.